Every year, Aussies seize the chance to visit family, go on holidays and take day trips over the Easter weekend. However, these joyful activities mean busier roads and unfortunately, a sobering road toll. More than 75% of Australians believe the roads are more dangerous during the Easter period. So as the long weekend approaches, there has never been a more important time to know your road rules, especially if you’re venturing beyond your home state. Although most of our road rules are consistent across states and territories – speeding is as illegal in Tasmania as it is in Queensland – there are some key differences. That’s why Shine Lawyers has compiled a list of lesser known regional road rules to prepare you for your interstate travels. Going on a road trip this Easter? Plan your journey with Shine Lawyers' interactive rest stops map. Horses may be an unlikely roadside companion in Queensland, but keep an eye out for them nevertheless. Drivers in the Sunshine State must give way to “restive” horses (those that can’t remain still) at the signal of the rider, pulling over until “there is no reasonable likelihood that the noise of the motor or the movement of the vehicle, will aggravate the restiveness of the horse.” Talk about horsepower! If you’re passing a roadside emergency in Western Australia, make sure you drive in SLOMO. The state’s aptly named SLOMO, or, ‘Slow Down, Move Over’ law requires drivers to slow to a speed of no greater than 40km/h when passing stationary incident response vehicles with flashing lights and, if safe to do so, to move to another lane. Caught up in your music and overshot your destination? Never fear. 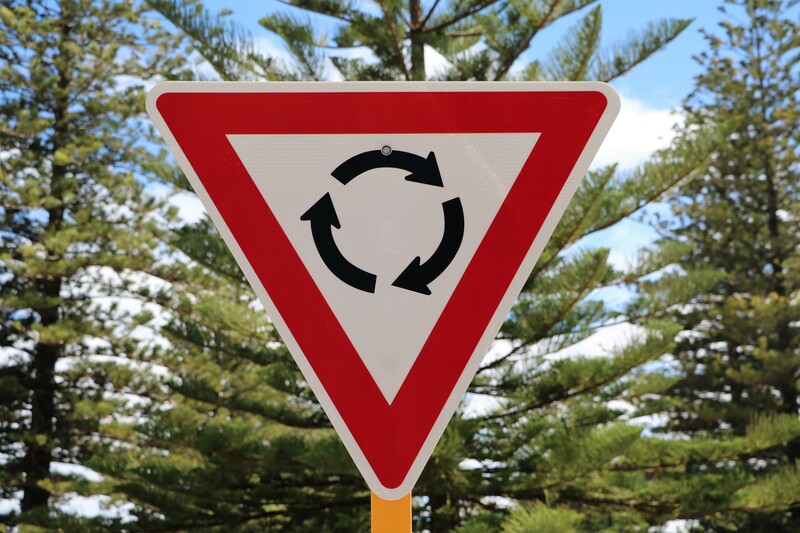 In Victoria, drivers are permitted to make U-turns at traffic arrows unless there is a sign explicitly prohibiting it. 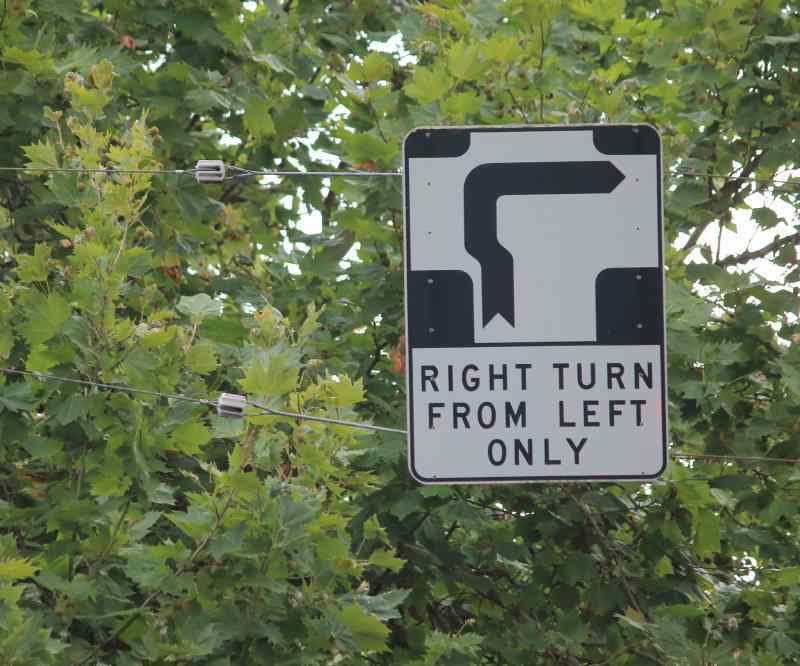 In another unique Victorian turning law, Melbourne’s notorious ‘hook turn’ permits cars to turn right from the left lane of signed inner city roads in order to safely traverse the tram tracks. Perhaps Australia’s most specific road rule belongs to New South Wales where it's illegal for drivers to splash mud on commuters waiting for a bus. The law is silent on splashing ordinary pedestrians or those waiting for a train, but we strongly suggest you avoid these anti-social acts as well! When you make a well-earned rest stop or petrol stop, make sure you lock the car before you pop inside the local servo. In New South Wales, drivers who move more than 3m away from their car without locking the doors and securing the windows are liable to be fined. It goes without saying that you shouldn’t drive under the influence of drugs anywhere, but with the Northern Territory’s new roadside drug-testing regime, driving under the influence is more needlessly risky than ever. In Tasmania, it’s illegal to use your trusty smartphone while driving, even for navigation. However, all is not lost (pun intended) if you’re in a new part of town or simply directionally challenged. Portable navigation devices attached to the car are still permissible. It’s often tempting to squeeze as many cars through a favourable light as possible, but beware. Tasmania is also unique in that it forbids drivers from exceeding 20km/h when turning at a traffic light. Canberra is known for its many roundabouts, features that limit congestion but are notoriously misunderstood. Make sure you brush up on the rules before you visit! Remember to give way to vehicles already on the roundabout, use the correct lane and flick on your left indicator as you leave the roundabout – yes, even if you’re going straight. If someone equipped with a fluoro vest and a clipboard saunters up to your vehicle at a red light, don’t panic. The ACT is the only Australian state or territory that permits “roadside commerce”. This means that windscreen washers, donation collectors and other brave entrepreneurs can legally try their luck for a sale when you’re stopped. Southern Australia is gearing up to implement Australia’s most futuristic road rules. The state has plans to legalise trials for self-driving cars and promises that drivers will soon be permitted to carry digital app-based licenses in place of their physical licenses. So if you're hitting the roads for an inter-state adventure, stay out of trouble. Keep the above rules in mind and keep yourself, your family and all other road users safe this Easter. Motor vehicle accident claims: Why do I need a lawyer? Written by Shine Lawyers on March 21, 2018. Last modified: September 26, 2018.